Hearst Corp. and Atlantic Media both broke records in 2013, according to proud CEOs who touted their success in statements marking the New Year. In a staff memo to Hearst Corp. president and CEO Steve Swartz said the company “achieved record revenue and profit in 2013 and recorded its fourth consecutive year of revenue and profit growth since the recession of 2008–2009.” This growth was powered by strong results from Hearst’s cable networks, including A+E and ESPN, as well as its health care businesses, analyst outfit Fitch Ratings, and its newspaper group. According to Swartz, Hearst’s magazine division also saw profits grow, although evidently not on the same scale as the other divisions. Swartz also noted a strong return from its investment in HootSuite. Overall, around 60% of the company’s revenues now come from sources other than advertising, Swartz said, including carriage fees, subscriptions and marketing services fees. Separately, Atlantic Media announced record financial results and audience growth in 2013. 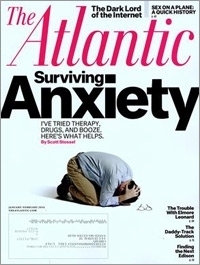 Readership for The Atlantic across its print and digital editions increased 34% compared to 2012, according to data from GfK MRI, the magazine brand was profitable for the fourth straight year. TheAtlantic.com and TheWire.com reported record traffic in April, with 16.1 million and 8.5 million unique visitors, respectively, and TheAtlanticCities.com has record months in October, November and December, finishing 2013 with 2.4 million unique visitors. This week, Forbes launched a new social network Stream, which allows readers to save and share visual content and discover content from the magazine and Forbes.com Web site. The network, which was developed by tech startup MAZ as part of the new Forbes iOS app, enables readers to “cut out” pieces of content with their fingers and save it to public or personal Stream profiles. Stream also allows readers to share via other social media platforms including Facebook, Twitter, LinkedIn, Pinterest and Tumblr, as well as email and iMessages. People on the receiving end see a visual “clip” from Forbes, which serves as a link back to the content. Advertising Age is cutting its print frequency by almost half, from 45 issues per year to 25 issues per year, according to Folio, which first reported the news earlier this week. The reduction in frequency will be offset somewhat by an increase in the size of each issue and the launch of new features; Folio reports that Ad Age is also planning to overhaul its Web site and introduce a membership program, in line with its increasing focus on digital products and distribution. The magazine also announced the appointment of editor Abbey Klaassen to the role of associate publisher, editorial audience -- a new position for the company. A number of top magazine publishers are participating in Starcom MediaVest’s new Content@Scale platform, which enables SMG clients to find content from publishers to engage with consumers in real-time. The list of magazine publishing partners making content available via Content@Scale includes Time, Inc., Martha Stewart Living Omnimedia, Forbes, Parade and Rodale.